The idea to build my blog because....i think because i don't have work to do. Everyday i just staring at my computer screen pretend that i am at the office, doing some secretarial works. When i finish, i will start watching some dvds. I love to watch the same movies repeatedly...aiyooo...this is one of my shortcomings. I was going crazy with Titanic last time and have watched it for 26 times (crazy huh?!). Admitt....i was crazy that time! - i always remember about this movie tatanic, during your love affair with "someone special" in yr life. Your special friend whom I regarded as my adopted brother (we were very close till certain time, we quarelled and we re-united..), he goes up and down in list of closest brotherhood among Specky, Ujang, Ameng, Halim, Azus.., we lost "contact" especially when I moved to Paka in Aug 2000) till Jan 2007 when both of appeared in our house door! 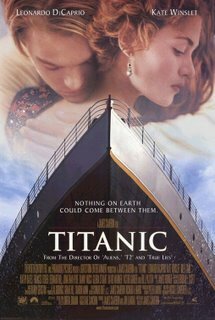 - Coming back to titanic, you told me at work in late 1990s, that u have watched many many times and every time u watched this movie, you cry like a baby..
- Titanic describes "cara kita dua famili berkomunikasi" + "how we keep in touch" : it is NOT a smooth sail tapi we accepted that fact: it is ok for both of our families. We meet and we don't meet as we please (he he he..). - Now I am in Doha, you are in Kuantan.. another great far far distant.. We can't make it to Kuantan, most of the time..
- Please do, register at multiply.com for me when Iman Mishary allowed to sit near the computer..